Need a sturdy and dynamic workout? A Kettlebell is all you need to enhance your full body and strong stamina. Use a Cast Iron Kettlebell to perform a variety of useful exercises that can be done anytime, anywhere. Exercises that can be performed with Cast Iron kettlebell includes squats, cleans, swings, get-ups and more – the heavy, unequal distribution of weight forces you to engage your core and extend multiple muscles at once. 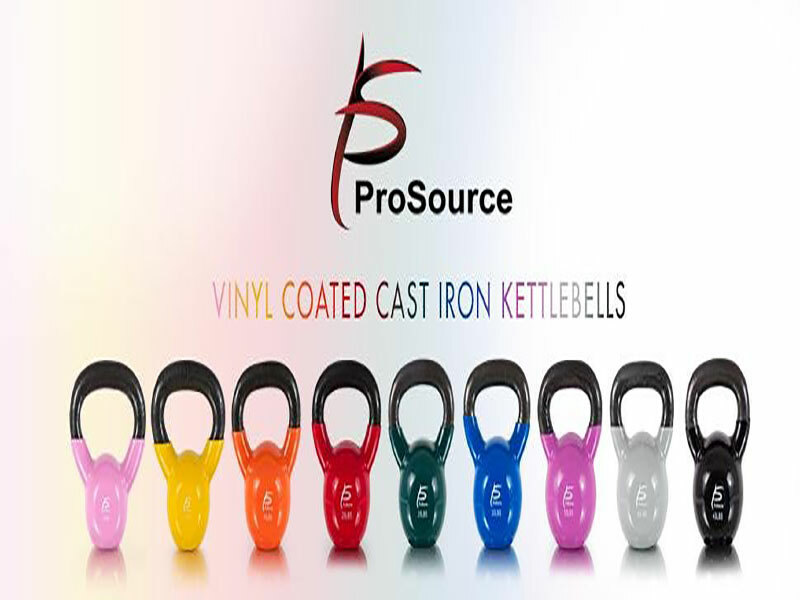 ProSource Vinyl Coated Cast Iron Kettlebells stay last for years. It helps to increase your strength, endurance, and coordination. These ProSource Kettlebells are very Effective for developing functional strength and cardio. Don’t just satisfy with a small handle that’s tight around your hands, moreover, it restricts your movements. It becomes more difficult for the people who have large hands. 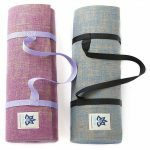 ProSource provides extra-large handles so that you can feel more secure during movements as well as extra comfort grip creates a better workout experience. The vinyl coating will help you to distinguish quickly between weights during the workout and Color-coded vinyl coating provides a polished look. It creates greater durability to the kettlebell by protecting your floors from damage and scratches. This vinyl coating kettlebells will help to reduce the noise if weights being dropped on the floor. Perfect kettlebells for home, garages, and gym facilities. Kettlebells without seams or welds are known as best quality kettlebells. Seams on handles are very annoying, notably during snatches and swings. Prosource kettlebells are smooth. The solid cast iron design is all one piece and polished with a perfect finish for better movement and sturdy grip. DURABLE CONSTRUCTION – Prosource cast iron is coated with color-coded vinyl to defend the floors – perfect for gyms, at-home or outdoor workouts. AVAILABLE FROM 5-45 POUNDS, Prosource Provides weight variety so that you can keep muscles challenged and improve core strength, power, and endurance. ProSource Kettlebells are amazing workout equipment. This Cast iron kettlebells are very effective, efficient, and fun to work out. 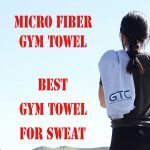 Ideal for total body workouts and perfect for squats, swings, get-ups, clean and more. 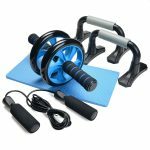 This equipment will keep your workouts interesting so you can feel motivated and challenged. 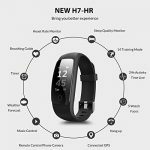 For me, it is a must-have for both beginners and advanced athletes. You can make the equipment as part of your regular muscle-building routine to extend your whole body while boosting cardio capacity as well as stamina. The high quality, hefty cast iron kettlebells will last for years, making a great investment. 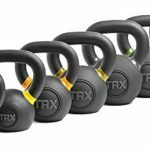 I would highly recommend these kettlebells as a set for your home gym. I needed this! I’ve been on the fence about which kettle bells to buy and this has helped!